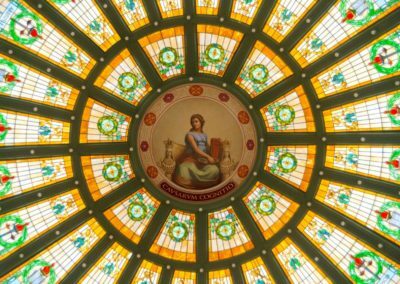 Dedicated as the Indiana State Normal Library in 1910, Normal Hall is the most beautiful and architecturally significant building on campus. 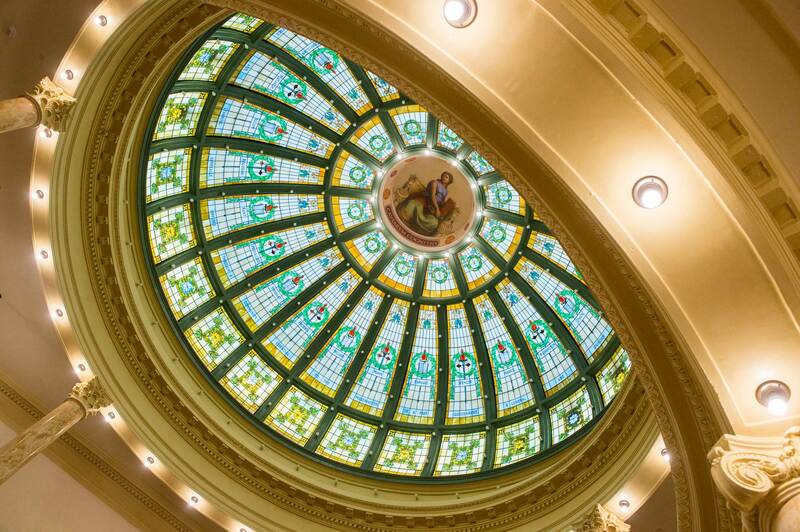 The neo-classical revival style building houses a 32-foot wide stained glass dome that was restored as part of a $16 million renovation to Normal Hall. 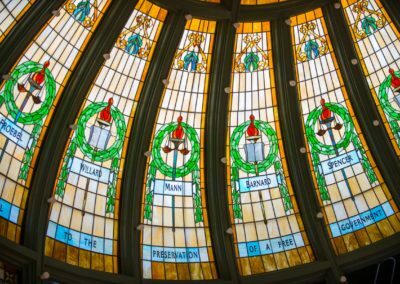 The dome was designed by renown art-glass designer Louis J. Millet of Chicago and features a reproduction of Raphael’s portrait of Philosophy (from the original in the Vatican), the flaming torch of inspiration, the book of knowledge from the school’s seal as well as the names of 24 philosophers and educators. 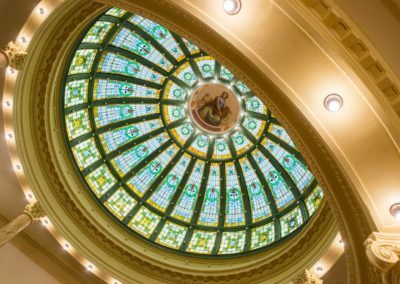 The dome was disassembled in the 1950s for safety concerns as the glass panels were unstable. While some of the glass panels remained stored in the building’s attic, much of the glass was destroyed in the dismantling. 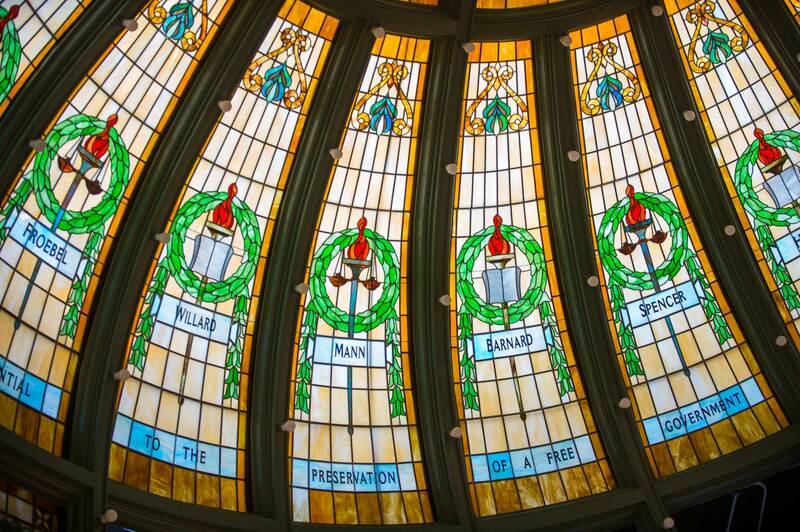 Thirty percent of the original stained glass was salvaged in the dome’s restoration. 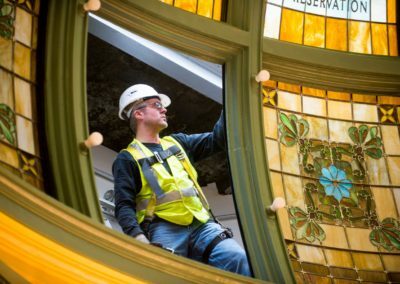 The original glass was manufactured by Kokomo Glass in Indiana – a company that still exists today, allowing the new glass to be matched perfectly to the original. 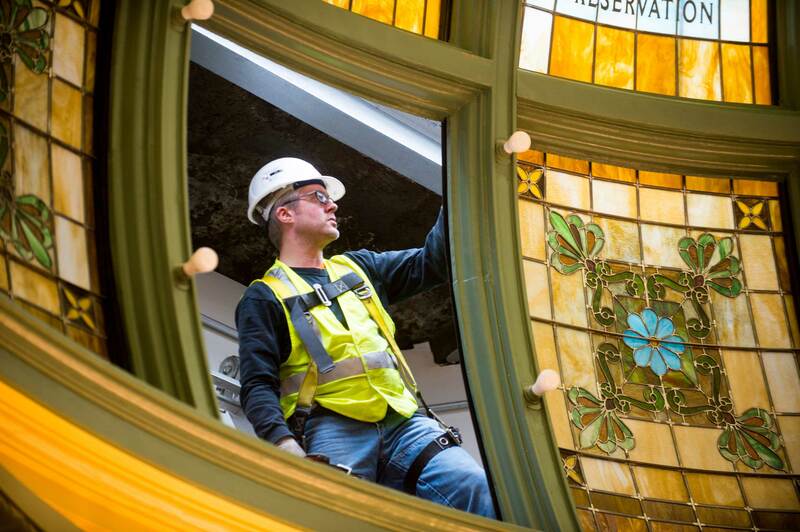 In addition to the complexities of measuring a curved dome where every opening is slightly different, the center panels measured more than 9 feet in length adding their large size to the restoration challenge. The original dome’s failure was due to the use of pure lead (lacking the strength of trace elements such as tin and antimony) and a lack of reinforcement. A new reinforcement system was engineered to tie the new bars into the dome’s steel frame. 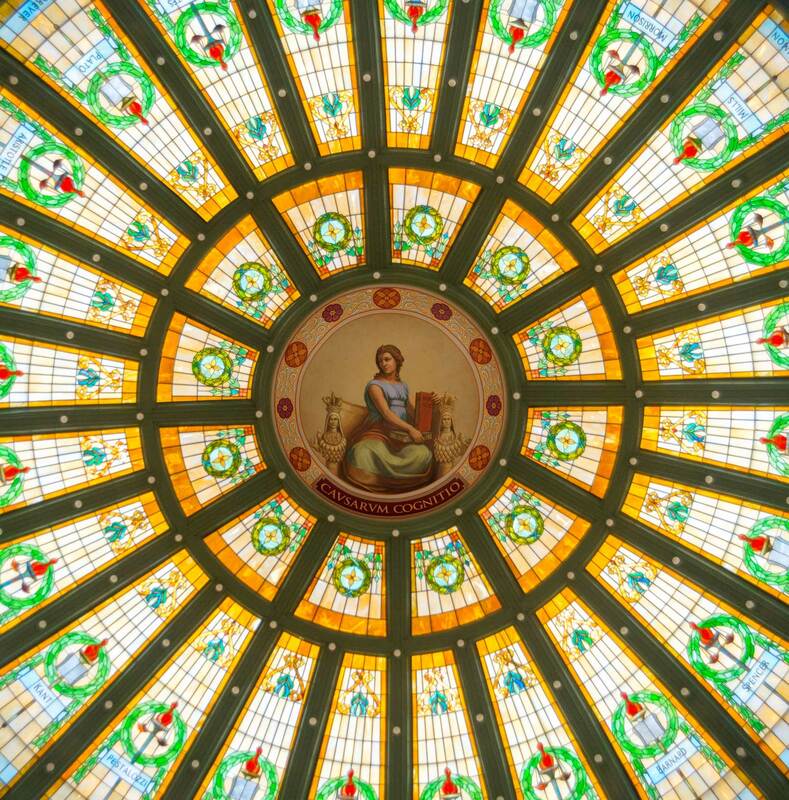 It was essential to make the dome strong without effecting the appearance.